Adolescents continue to make up a growing percentage of the global population, particularly in low-resource settings. Their health is determined by multi-level factors, including social determinants (such as stigma and exclusion from educational and vocational opportunities) and economic determinants (including poverty and limited opportunities). 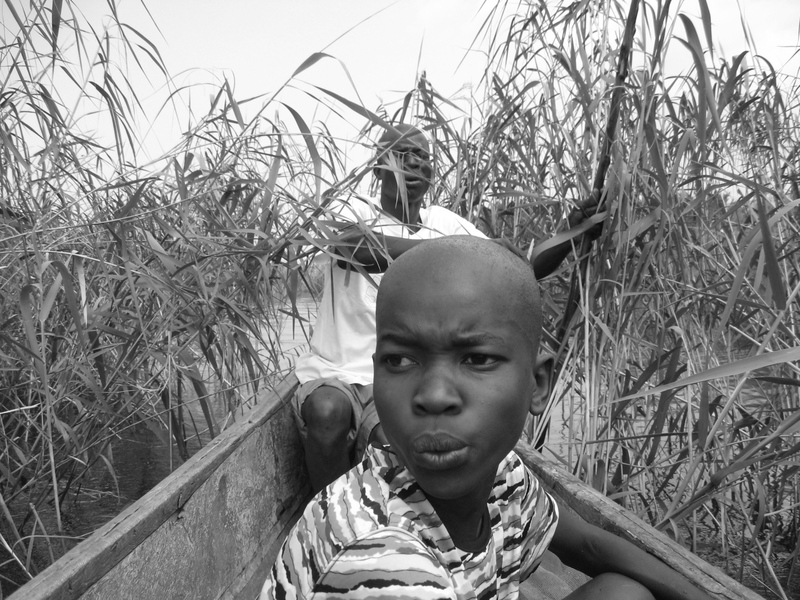 Youth in low-resource settings are at particular risk for growing up under the influence of multiple negative determinants for their health. An approach to improving their health and life trajectories requires transdiciplinary studies and multi-level interventions. 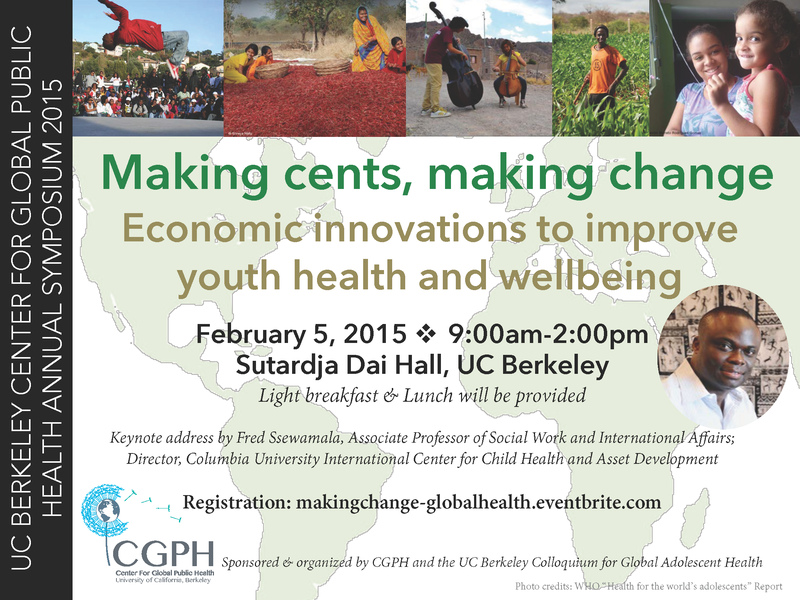 In 2013, CGPH supported the launch of the UC Berkeley Global Adolescent Health Colloquium. This was done with the support of an Institute for International Studies seed grant and under the faculty direction of Professor Coco Auerswald. Other Colloquium members include the following Centers at UC Berkeley: Bixby Center for Population, Health, and Sustainability (SPH); the Institute for the Study of Societal Issues at the Goldman School of Public Policy; the Human Rights Center; I4Y -- in addition to a diverse and widespread network championing adolescent health and wellbeing throughout the Bay Area and Beyond. There is still much to be explored on how social determinants affect youth and, in turn, influence biological, developmental and behavioral factors. At Berkeley, we aim to know more about how youth trajectories to a successful adulthood or to a poor outcome are affected by interventions informed by a theoretical perspective. We welcome work that can inform a global to local and local to global dialogue regarding the care of adolescents in resource-poor settings domestically and in low-income nations. Alice Achan: Director & Co-founder of Pader Girls Academy in Uganda. Youth as Change Agents Film Series: “Map Your World: The Revolutionary Optimists” regarding the use of technology by young change agents in Kolkata to improve the health of their community. The screening was followed by a panel with the filmmakers and panel of youth engaged in community-based projects in Northern California locally. 2015 Global Adolescent Health Symposium: Making Cents, Making Change regarding economic interventions to improve the health of adolescents in low-resource settings in the global south and domestically (exact title TBA). Keynote speaker: Fred Ssewamala, Associate Professor of Social Work and International Affairs and the Director of the Columbia University International Center for Child Health and Asset Development. Sutardja Dai Hall (Banatao Auditorium); approximately 9am-3pm. Please contact Coco Auerswald (coco.auerswald@berkeley.edu) or Hildy Fong (hildy.fong@berkeley.edu) if you are faculty member, PhD student, or Post-Doc interested in the luncheon series.